Prior to the start of any skincare regime or treatment programme it is essential to analyse your skin's quality and health. This enables us to address your concerns accurately and document your skin's progress. Our Aestheticians will begin your Consultation with a Complimentary Visia� Skin Complexion Analysis. This involves taking three-dimensional digital and ultraviolet images of your entire face, which will reveal your skin's health and any underlying problems beneath the surface, which are not yet visible to the human eye. 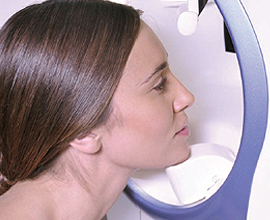 Using its sophisticated computer software, our Visia® machine can also assess how your skin will age over the next five years. We recommend an annual Visia® Analysis so that we can chart and assess your skin's improvements during on-going treatments. Both your consulting Doctor and Aesthetician will use the valuable information from your Visia® Analysis to help create a personalised Total Rejuvenation Plan tailored to your skin's individual needs. 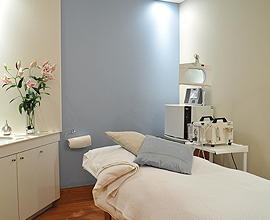 This will cover both the Beyond MediSpa treatments and home skincare plan that we recommend for you.